Feeling refreshed after an hours rest, we were ready to explore the town of Chieti (pronounced key-yay-tee). 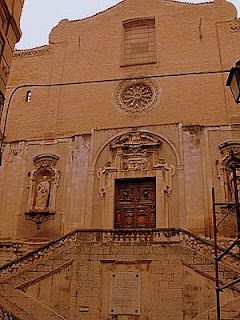 It is considered to be the main city of culture in Abruzzo, along with l’Aquila. Chieti (see map) is a charming, elegant hilltop town with ancient streets and alleys, situated on the right bank of the Pescara River at 330 mt above sea level. It is one of the oldest towns in Italy. It has a population of about 51,300 (as of 2017). The economy of the town is traditionally based on agriculture (cereals, vineyards and olive groves). 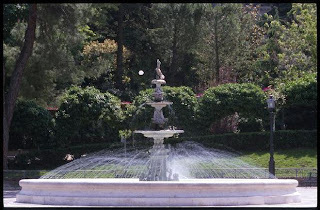 It is enriched by traditions of handicrafts of artistic lace and beautiful ceramics. From the hilltop part of the town called ‘High Chieti’ (Chieti Alta) you can visit historical sites, churches and monuments going back to the Roman era and some from Norman times. The modern Civitella Museum beside the well preserved Roman Amphitheatre is well worth visiting. In the summer they hold outdoor concerts here. 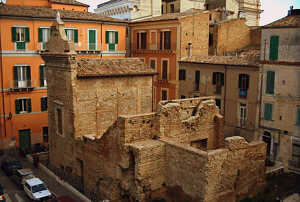 There are also the remains of Roman Thermal Baths (currently under restoration). 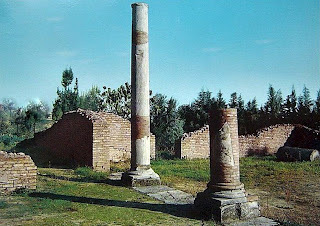 Further digs in Chieti have uncovered the core of Teate - the main town of the Marrucini, an ancient Italic tribe that became a Roman colony in the first century BC. And then there's my favourite, La Villa Comunale –- a beautiful park which is also home to the National Archeological Museum of Abruzzo. Ci siamo sentiti rinfrescati dopo un’ora di riposo, e siamo stati pronti per esplorare la città di Chieti. È considerata, insieme all’Aquila, la città della cultura in Abruzzo. Chieti, con una popolazione di circa 51.300 abitanti (2017) sorge su un colle a circa 330 metri sulla destra del fiume Pescara. 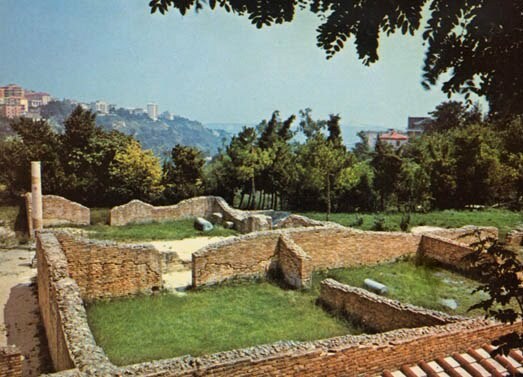 Chieti è una delle città più antiche d’Italia. L’economia della città, tradizionalmente agricola (cereali, uva ed olive), si è arricchita tramite un fiorente artigianato delle belle ceramiche e dei merletti. 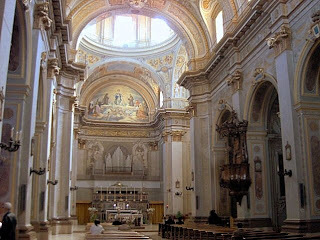 Dal colle che dà sulla città, detto ‘Chieti Alta’, si possono visitare siti storici, chiese e monumenti, risalenti all’epoca romana e quella dei normanni. • Il Museo Archeologico Nazionale d’Abruzzo. How to get to Chieti: Buses and trains leave you at Chieti Scalo down in the valley, from where it's a ten-minute bus journey up the hill to Chieti proper - 5km away. The no.1 bus stops near the Cathedral. You are pretty good at showing off Italy's finer points, Nora. Another place to add to my list, Chieti. Hope you make it down there one day Alex! Thank you for this! We will be in Chieti over night and wanted to know more about it. Love your blog. 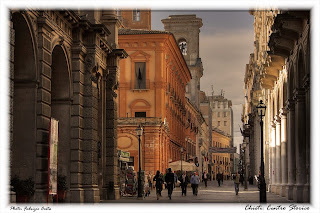 I'm happy that this information about beautiful Chieti will be of use to you. Enjoy your visit!